Ever wanted to be a firefighter? During middle school, Girls Inc. intentionally exposes girls to a wide range of possible careers and leadership models. From tech to government to public service, girls see women thriving in multiple careers, many of them in traditionally male-dominated fields. These types of role models are critical to expanding girls’ sense of who they can become. 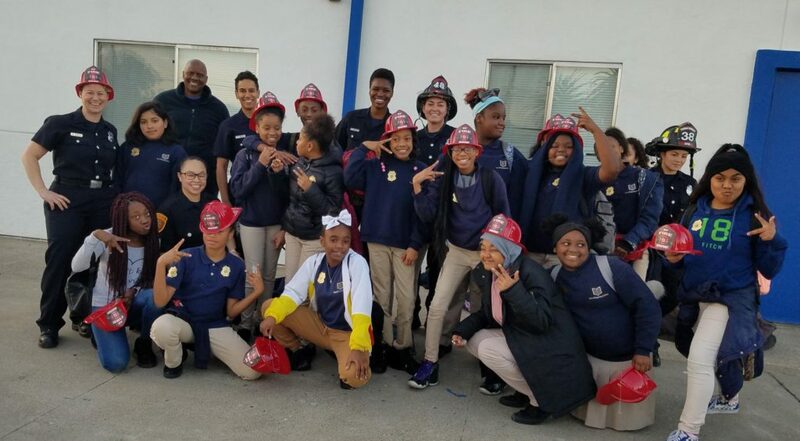 This week, middle-schoolers at Aurum Preparatory Academy learned all about what it takes to be a firefighter. During skills practice, girls rotated through groups. One group tried on all the gear and learned how to use an oxygen tank. Another group learned the basics of CPR and defibrillators and practiced on a mannequin. A third group dragged hoses around as a team and had races to see who could roll and unroll a 40 pound, 75 foot hose the fastest. And the fourth group practiced how to lead a blind-folded “victim” out of a burning house. When the day wrapped up, all the girls were asked what they were walking away with. 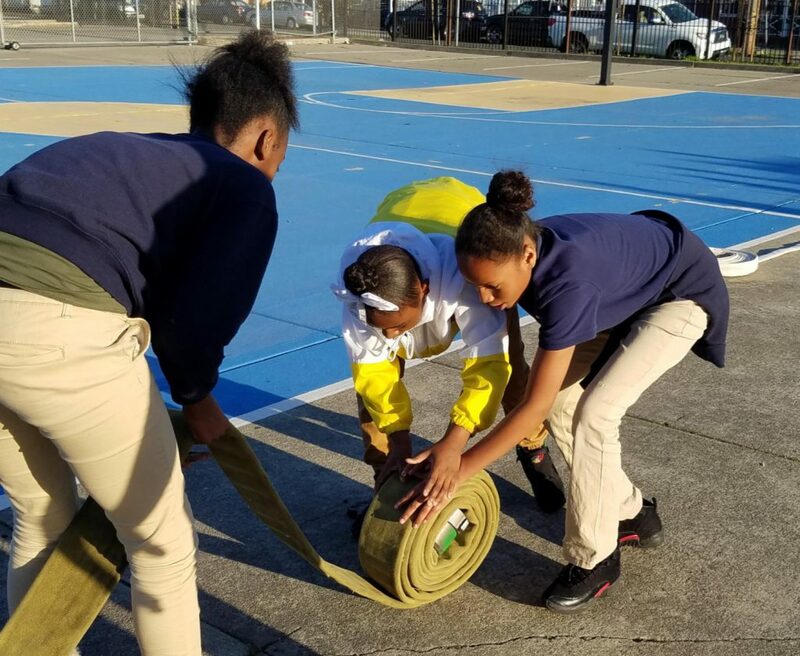 Selina, a 6th grader, said, “I learned that firefighters do a lot more than just putting out fires!” That’s a good thing to remember when we celebrate the amazing work these professionals do for our communities.